312 p., 14,8 x 20,9 cm. Schelling’s philosophy of freedom can be characterized as Pan-Personalismus (panpersonalism) in that it reconciles two seemingly opposing perspectives on human freedom in one theory: the demand for unity of thought in a philosophical system and the demand for individual independence of man. 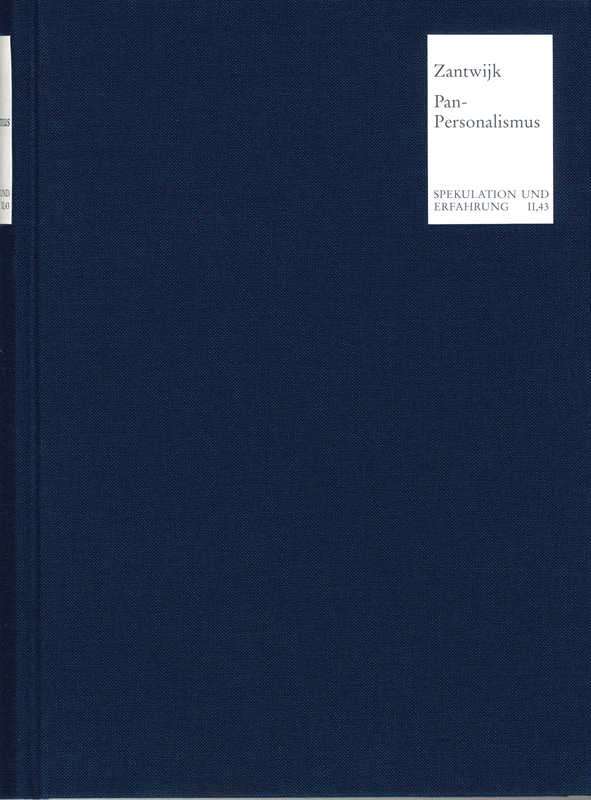 The study focuses on the question of the epistemological foundations of Pan-Personalismus. The allegation of Anthropomorphismus (anthropomorphism) traditionally made against Schelling can be disproved from the perspective developed here. The methodological concept on which Schelling’s doctrine of freedom is implicitly based can be defined as transzendentale Hermeneutik (transcendental hermeneutics) and described in context.